Boats and other watercraft are typically used in our local area during the warm summer months. We are fortunate in our region that summer is an extended period that sometimes reaches into October! At some point, however, the lakes in nearby mountains simply become too cold to enjoy from a boat. During the winter months, boat storage becomes necessary. When investigating the various options for storage of a watercraft, it is important to understand what your needs may be. Boats, Sea-Doos, and other watercraft are treasured in a different way than our daily-use vehicles. When not in use, due to the time that may pass, these types of RVs may not do well parked in the driveway or parked on the street in front of a home. Keeping the watercraft in the water, as well, may bring additional concerns. While there are aspects of storage to consider, the process of procuring secure storage for your watercraft need not be overwhelming. 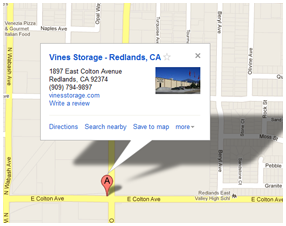 Vines Storage in Redlands has solutions that have worked for many families in the area. Boat storage that is out of the water can lead to better preservation of the craft. In the water, there are elements to which the boat is susceptible, both from beneath and from the air. The constant presence of water against the watercraft can damage pain and even machinery. On the water, there is greater condensation in the air that can also damage pain as well as upholstery. At best, it may become necessary to replace fabrics that have mildewed. At worst, an important part may need replacement sooner than it would otherwise. Dry dock storage includes both indoor and outdoor locations, with each offering certain benefits. Outdoor storage may be available at a lower cost, but the boat is still out in the open where pests and the elements may pose a problem. Indoor storage facilities such as those available at Vines Storage provide the highest degree of protection from theft and damage. Boat storage should meet your various needs, and it can when you call Vines Storage and learn about our flexible leasing packages.